This is a busy week both on the central bank and parliamentary election front. Among the G7, the Bank of Japan (Thursday) and the Fed (Wednesday) hold policy meetings this week, as does Norway’s Norges Bank (Thursday). The BoJ is expected to leave its policy unchanged and probably will not reveal when it will unwind stimulus, but could signal a determination to keep the yield curve under control. 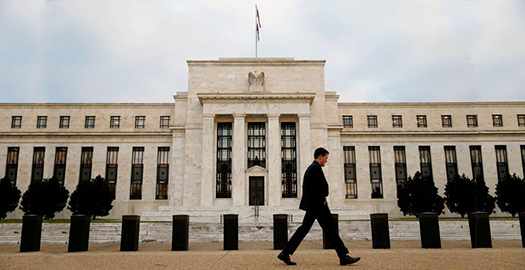 However, for the Fed, expectations are uncertain. Recent hurricane activity is expected to cloud the outlook for the Fed – and intensifying the problem is the delay in the collection and publication of official data. Expectations are for revisions going forward. Interest rates are expected to remain on hold, while the market assigns a +50% probability of a December rate increase. Many anticipate the FOMC to begin reducing the Fed’s balance sheet. In the UK, Brexit strategy is in focus as PM May prepares to outline her revised approach this Friday, while in Germany, the final days of the federal parliamentary campaign will play out before next Sunday’s vote (Sept. 24). Down-under, New Zealand goes to the polls this Saturday (Sept. 23). Last week’s positive US inflation surprise was not sufficient to convince the market of a noteworthy continuation of the Fed rate hike cycle. Investors focus now shifts to the Fed directly. The US dollar is unlikely to move much before Wednesday’s Fed announcement as is usual in the run-up to these meetings. With rates expected to remain on hold should not mean much for the dollar unless there is a ‘hawkish’ signal from this week’s Fed meeting. Ahead of the open, the dollar is a tad firmer across the board. EUR/USD at €1.1931 is down -0.16%, USD/JPY is up +0.5% at ¥111.40, while GBP/USD down 0.3% at £1.3554. Note: Sterling is down after rallying on Thursday and Friday as caution sets in before a speech by BoE Governor Mark Carney at 10:00 am EDT. Note: JPY outright is trading atop of its two-month lows as investors are shaking off risk fears of political threats, but also because there is a public holiday in Japan, which means less liquidity in the market. The bullish sentiment that stoked more records stateside on Friday has carried through into the new week, with both European and Asian rallying across the board. In Japan capital markets were shut for the respect-for-the-aged day. In Hong Kong, equities jumped to the highest a 27-month overnight, as regional bourses hit decade highs, while stronger-than-expected Chinese loan data aided sentiment. The Hang Seng index rose +1.3%, while the China Enterprises Index gained +1.2%. Down-under, and Australia’s S&P 200 was up +0.5% at the close, while in S. Korea, the Kospi index climbed +1.4%. In China, equities were boosted by stronger domestic data that added to views that economic growth is holding up and by the loosening of margin requirements on stock index futures trading. The blue-chip CSI300 index rose +0.3%, while the Shanghai Composite Index also added +0.3%. In Europe, regional bourses all start the week on the front foot, continuing Friday’s momentum as the US dollar reaches a two-month high outright against the yen (¥111.40). US stocks are set to open in the black (+0.2%). Ahead of the US open, crude oil prices remain better bid, trading atop of multi-month highs as the number of US rigs drilling for new production fell and refineries continued to restart after getting knocked out by Hurricane Harvey. Brent crude futures are at +$55.91 a barrel, up +29c, straddling their five-month high print touched last Thursday, while US West Texas Intermediate (WTI) crude is trading up +41c, or +0.8%, at +$50.30, near their three-month high print also reached last Thursday. Note: Oil refineries across the Gulf of Mexico and the Caribbean are also restarting after being shut due to hurricanes Harvey and Irma. Also supporting crude prices is the number of rigs drilling for oil in the US fell sharply last week. Friday’s Baker Hughes report revealed that US energy firms cut seven oilrigs in the week to Sept. 15, bringing the total to 749, the fewest since June. In the Euro session, gold has slipped to its lowest level in a fortnight as the dollar and stocks rally, while prospects of US monetary policy tightening ahead of a Fed meeting is also weighing on the metal. The ‘yellow’ metal is down -0.3% at +$1,315.36 an ounce. This week, the main event will be the Federal Open Market Committee (FOMC) meeting, starting tomorrow and concluding with Wednesday’s press conference (02:30 pm EDT). US policymakers are expected to take another step towards policy “normalization,” but will it be this week? It’s not a slam-dunk, as persistently subdued global inflation, despite a pick-up in growth, remains somewhat of an impediment to tightening monetary policy. As such, the market is not wholly convinced that the Fed will move on rates again this year, with a December change put at less than a +50% probability. The yield on 10-year Treasuries has backed up +1 bps to +2.21%, the highest yield in almost four weeks. In Germany, the 10-year Bund yield has gained less than +1 bps to +0.44%, the highest in more than a month, while Britain’s 10-year Gilt yield has climbed less than +1 bps to +1.31% – the highest print in more than 10-weeks. Data this morning from Eurostat showed that Euro area (monetary union of 19 members) annual inflation was +1.5% in August 2017, up from +1.3% in July 2017. In August 2016 the rate was +0.2%. European Union (28 member states) annual inflation was +1.7% in August 2017, up from +1.5% in July. A year earlier the rate was +0.3%. Note: ECB President Draghi indicated earlier this month that the bank would outline plans next month to scale down its +€2.3T bond-buying program (QE).